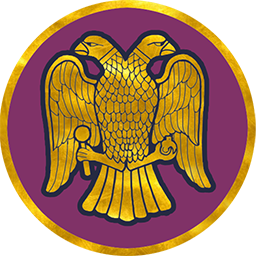 The setting-up of a new administrative centre at Constantinople has allowed the Eastern Romans to replace the antiquated systems throttling the economy and enfeebling their Emperors. As a result, new trade networks and fiscal reforms fill its coffers, while the Senate is powerless, replaced by a centralised bureaucracy and a powerful state church. The East is now Rome’s true seat of power. Despite the killing of the Emperor Valens in battle against the Visigoths, the East has safely weathered the storm of barbarian migration, often by diverting them into the West. However, with Theodosius dead the new, young Emperor Arcadius will have to negotiate barbarian threats, court intrigues, and the ever-present Sassanid menace to ensure that the last light of the Roman Empire continues to burn. The benefits of Empire hold a certain appeal, especially to the outside observer. A privileged class of noble families claiming descent from Rome's first Senators. Kept on as a formality in the age of Emperors, they once held considerable political, religious and military power. 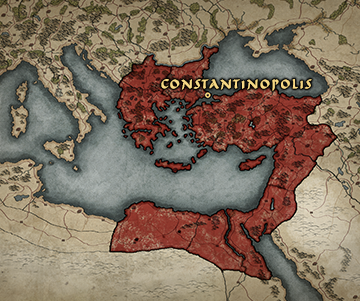 The sprawling Roman Empire is divided, ruled by two sons of the late Emperor Theodosius. However, the real power lies with the dignitaries who control every aspect of its increasingly labyrinthine administration.